Suede leather is a popular choice for boots and shoes and no wardrobe would quite be complete without them. This soft leather is derived from the under skins of animals such as goat, lambs etc, and does involve skinning animals for their hide. Also leather is processed using a number of chemicals which are often a major cause of soil and water pollution as the effluents are often released into the environment without being treated completely. As the manufacturing of accessories from leather involves many different stages-it’s often difficult to ensure that a product has been made with a lesser degree of pollution in its manufacturing cycle. Here-we present a perfect alternative to suede leather in the form of synthetic suede which is made from 100% recycled polyester fibers in a unique process which involves lesser energy consumption as well as lesser carbon DI-oxide emissions. The Robin Hide shoes also have a faux fur lining which make them virtuallyindistinguishable from normal suede shoes. 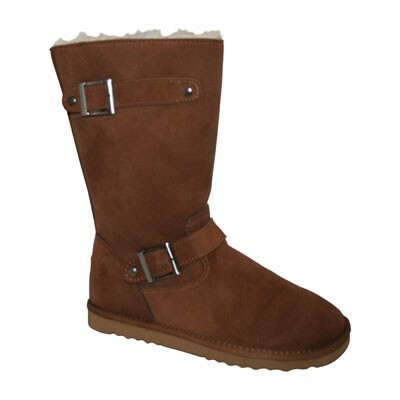 They are made in china within an ethically-run factory and are a perfect alternative to conventional suede boots. You can choose between sizes 5 to 10 and its highly recommended to order one side above for a comfortable fit. The material is sourced from Toray in Japan (www.ultrasuede.com)which is a leading manufacturer of Ultrasuede-which is synthetic suede consisting of woven micro-fibers derived from 100% polymers without the use of any animal products. 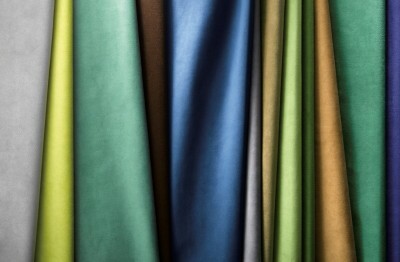 Ultrasuede is soft to touch and is supple so that it can be easily woven into a fabric and used in apparels and clothing. The fabric is widely used in footwear as it endures wear and tear and stay looking new for a long period of time. The Robin Hide boots cost $165. You can purchase them from the below link.